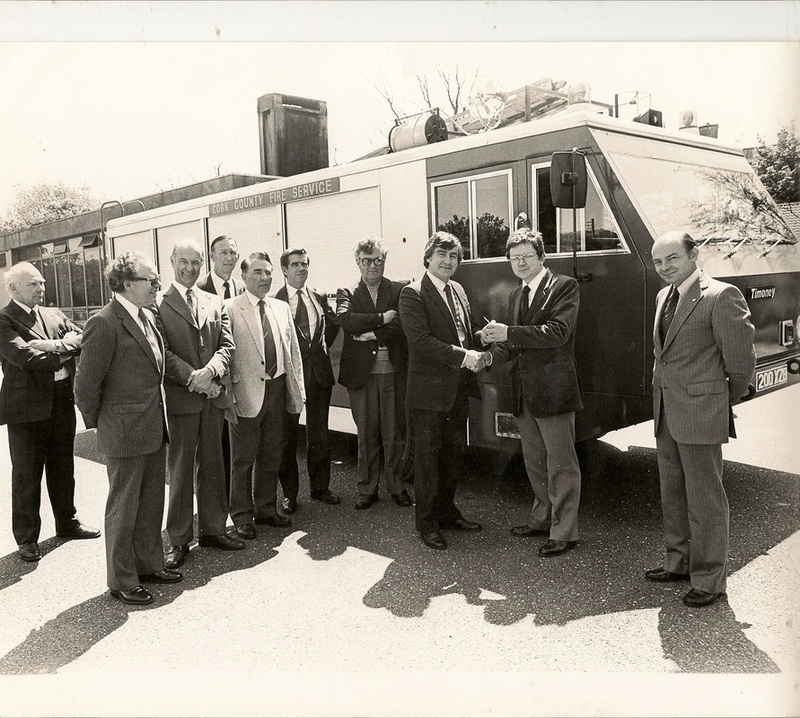 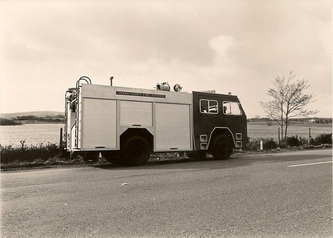 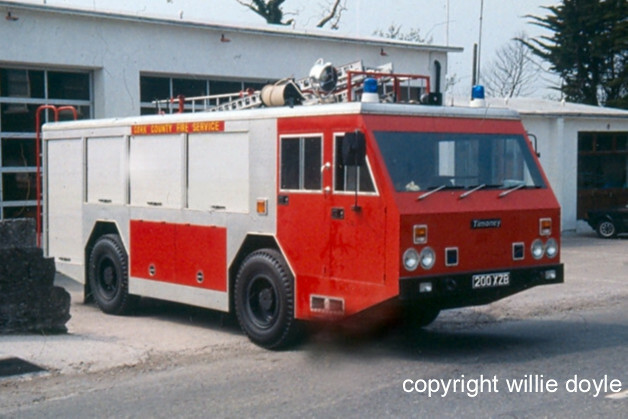 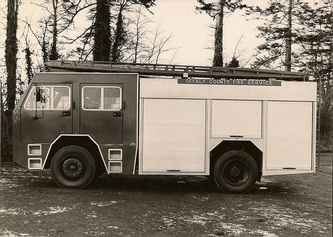 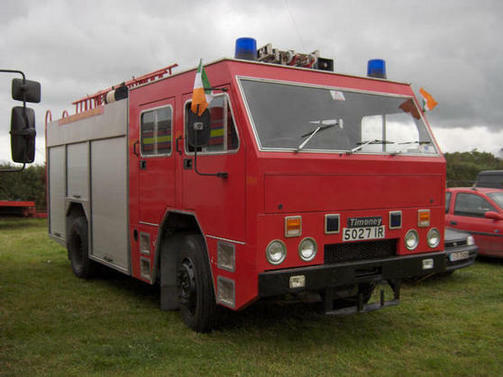 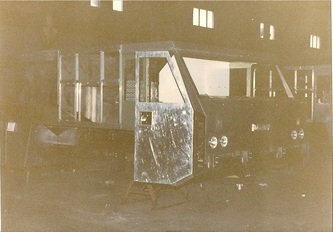 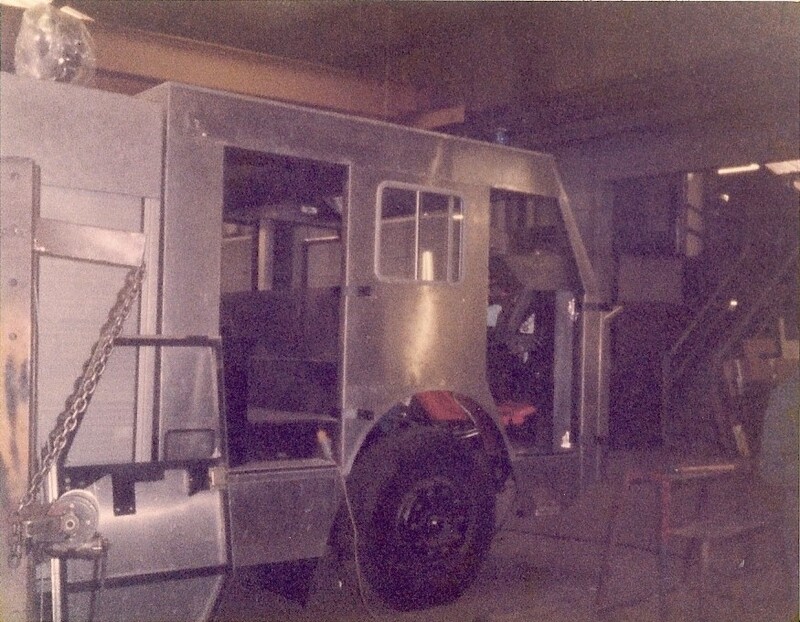 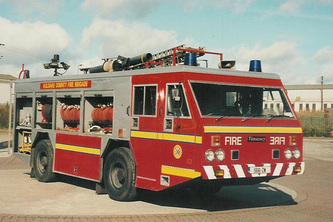 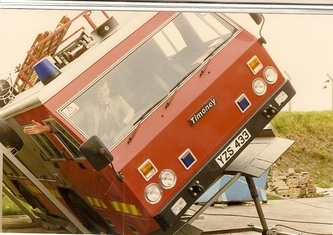 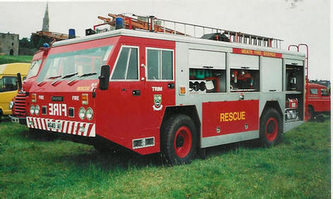 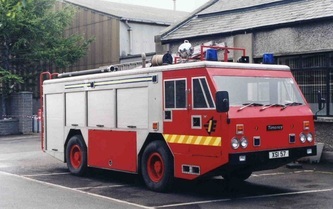 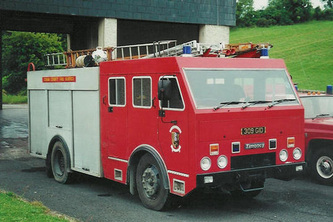 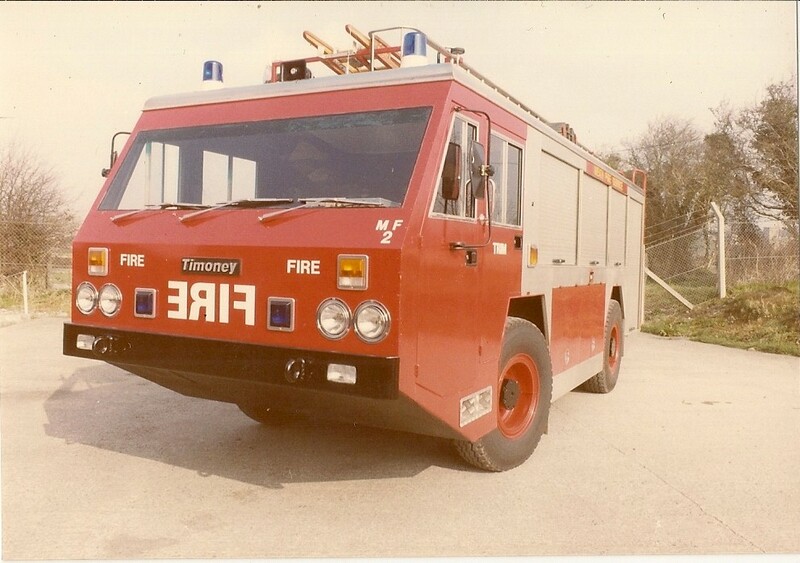 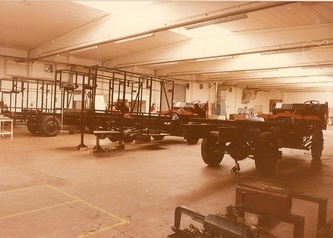 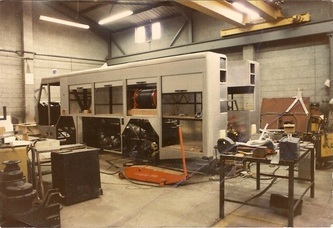 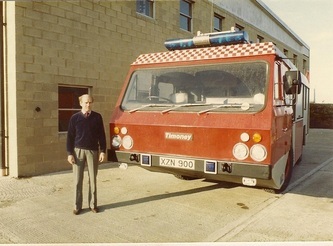 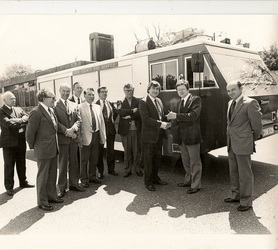 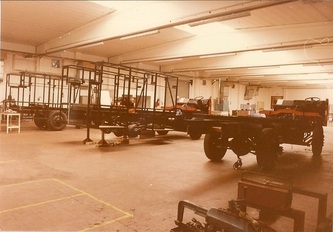 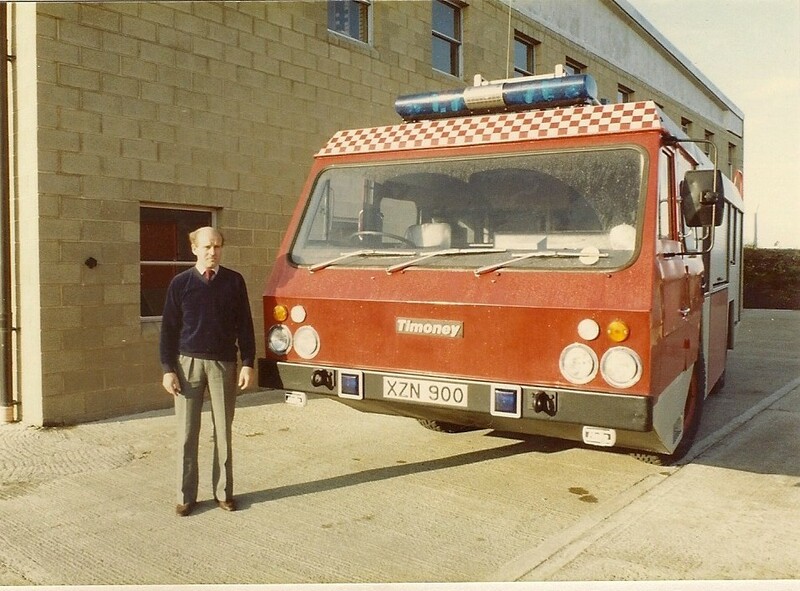 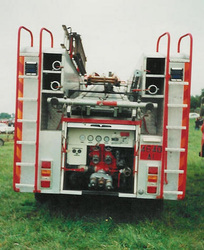 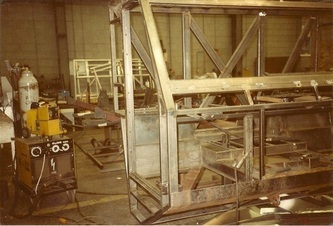 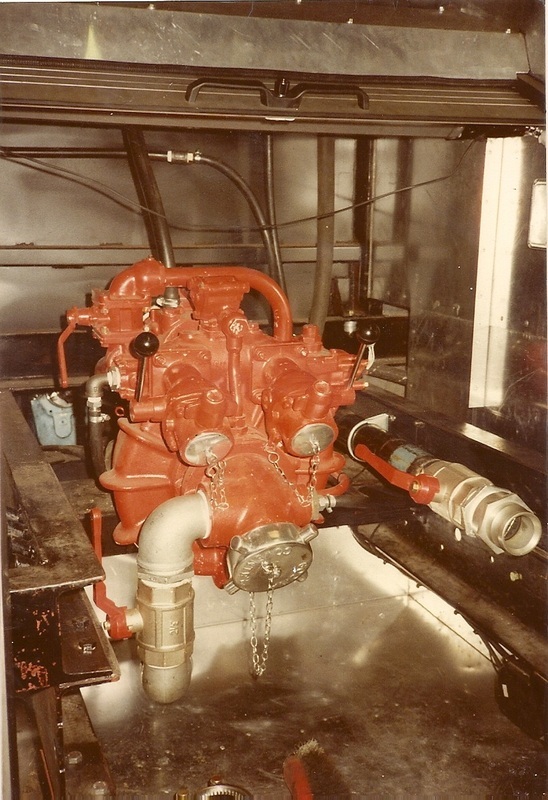 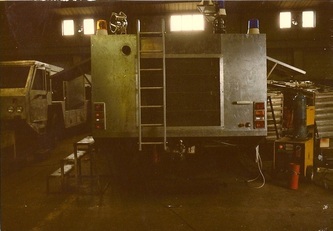 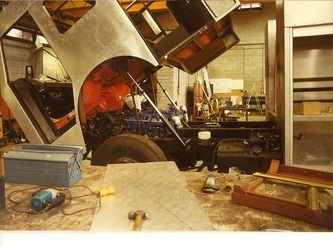 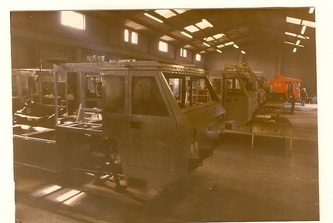 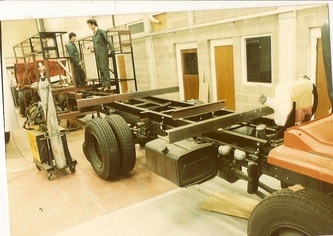 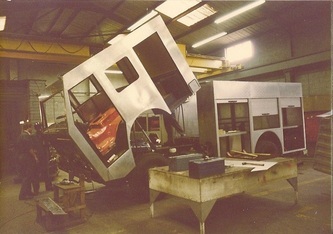 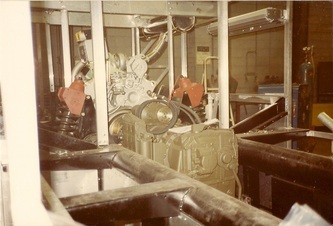 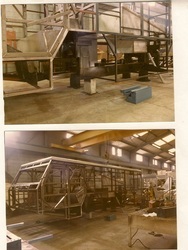 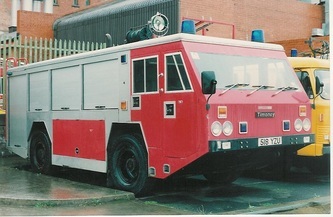 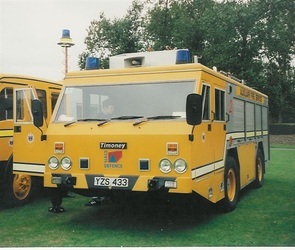 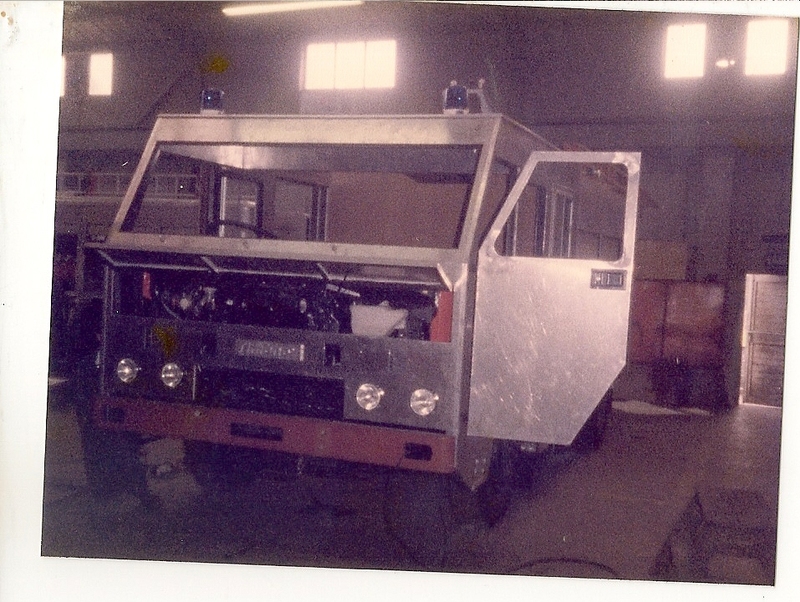 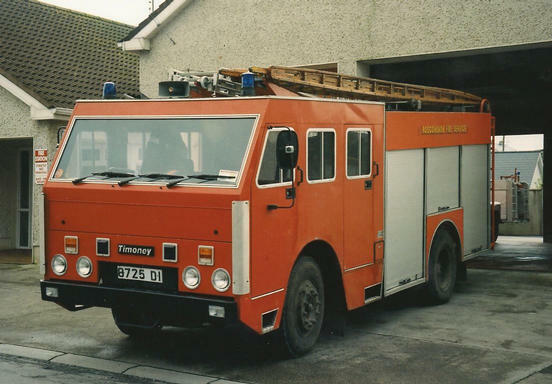 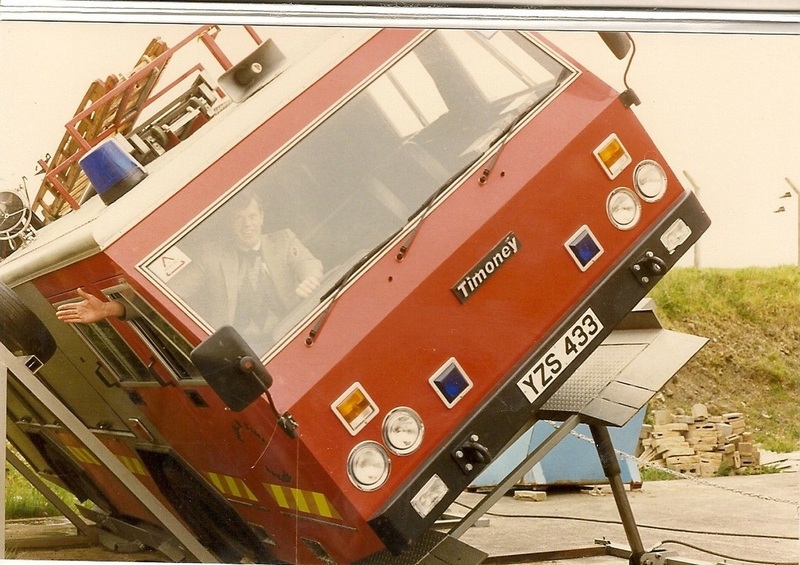 Timoney was the only Irish company involved in fire appliance construction which built chassis as well as body work. 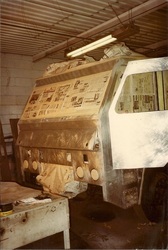 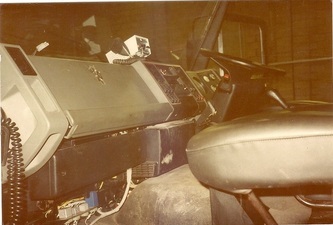 Professor S.G.Timoney started a company designing and building armoured vehicles in Ireland. 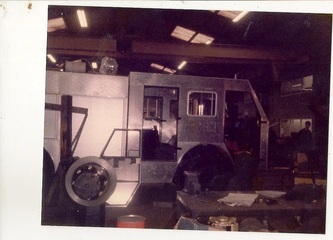 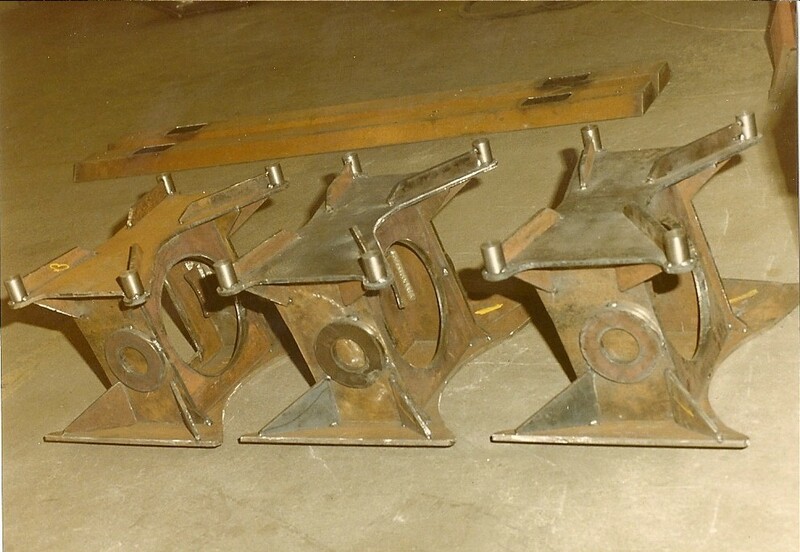 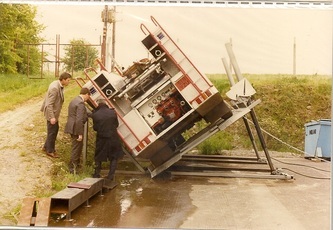 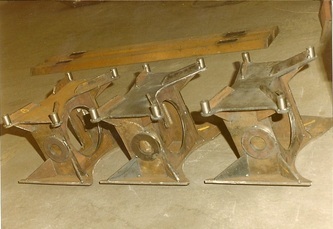 In turn this led to the development of a fire appliance chassis for airport and local authority use. 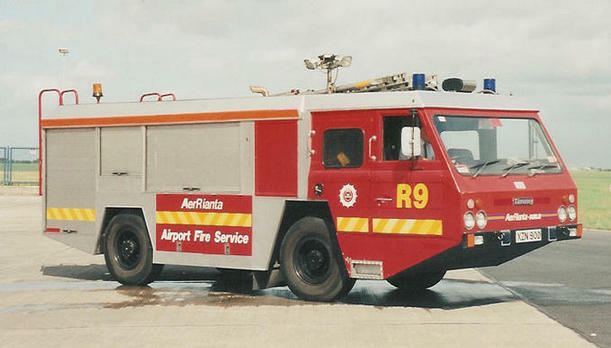 Consequently Timoney fire appliances have been built for the Irish Airports Authority and the Irish Air Corps. 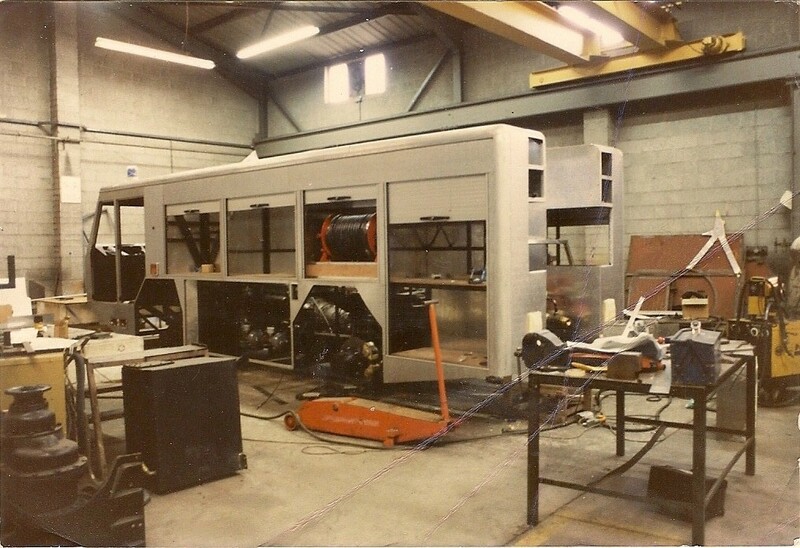 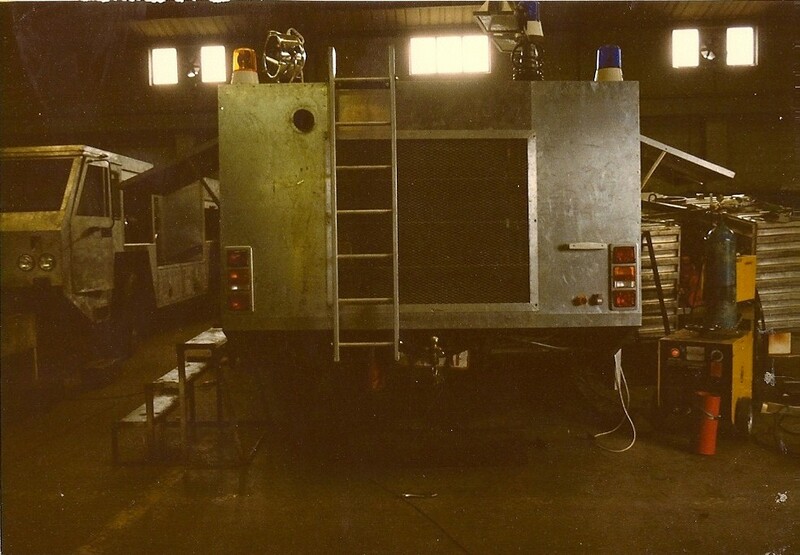 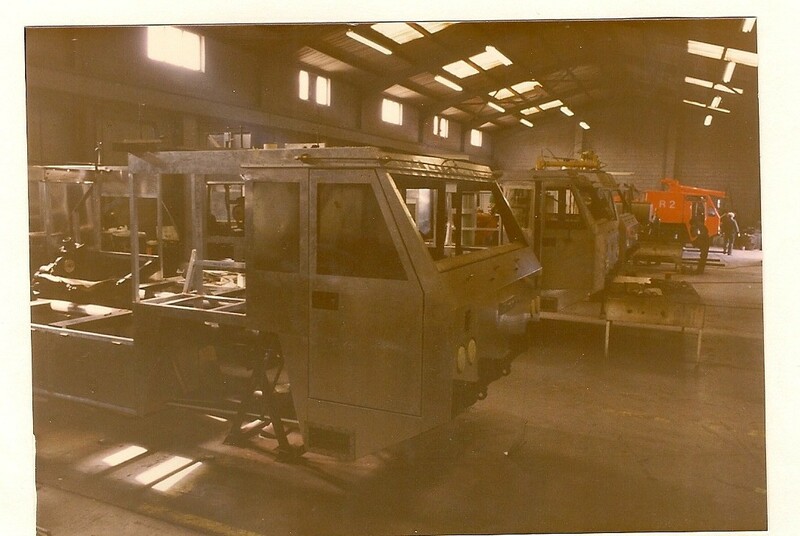 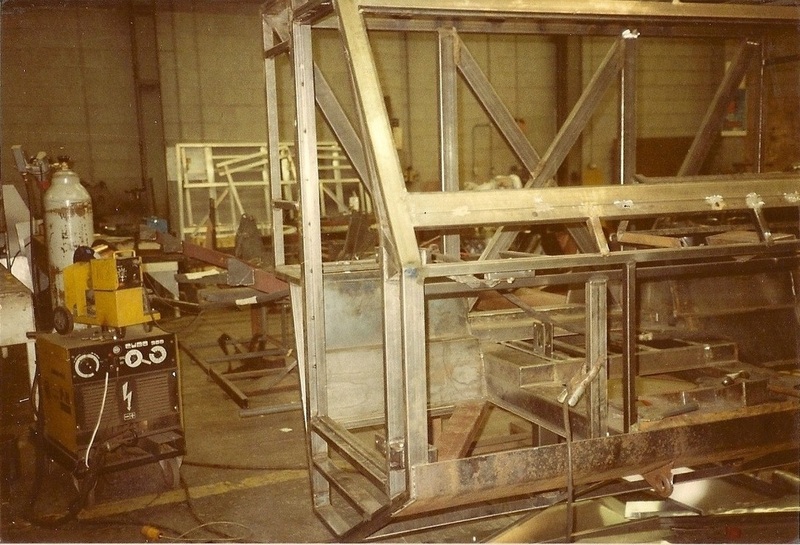 In the first part of this page we will look at the 15 appliances that were built at Timoney in Navan between 1981 and 1985, six of them were built on Ford Cargo chassis and the remainder on Timoney's own chassis. 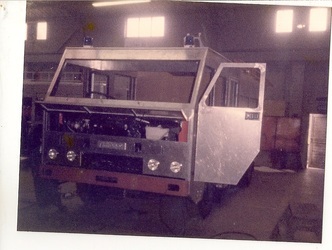 We will list the appliances and where possible, we will try to display a photo of each of the 15 appliances. 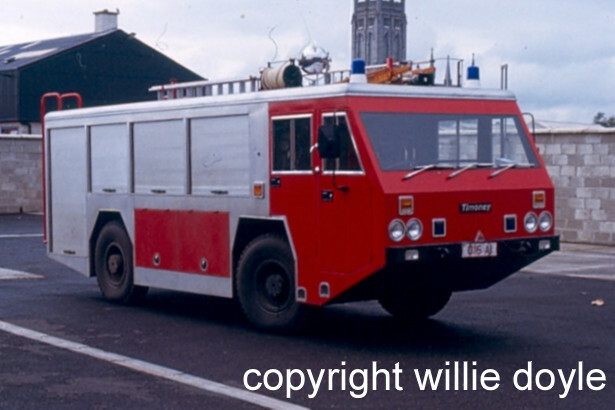 If anyone has photos of the Timoney/Timoney or the Timoney Ford Cargo and would like to share them please contact me and I will publish them on this page along with credits. 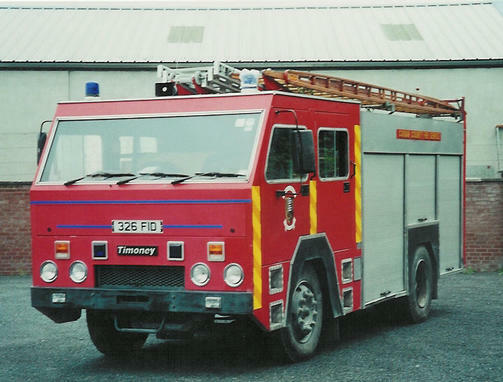 All the Timoney photos on this page are copyright and may not be used on any other sites. Photos of the Timoney Facility both inside and out are thanks to Timoney Technologies , and Colin Stone for his help with this feature. 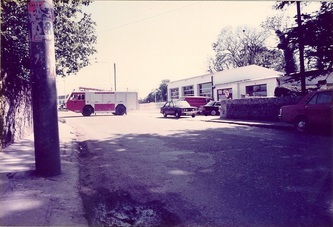 Appliances been tested outside the Timoney Facility during the time that Timoney /Timoney and the Timoney Ford Cargo were been built. 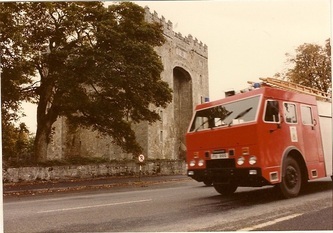 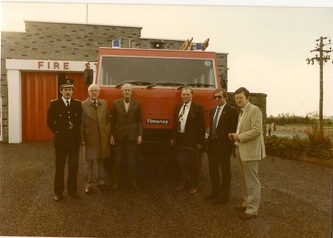 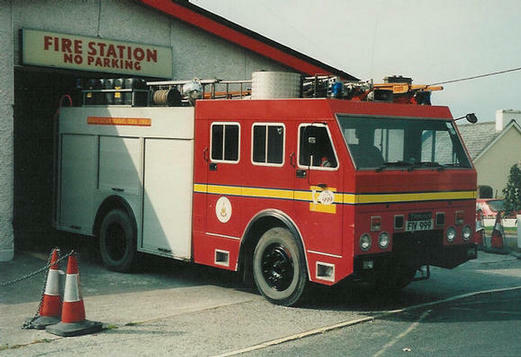 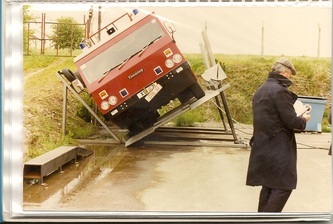 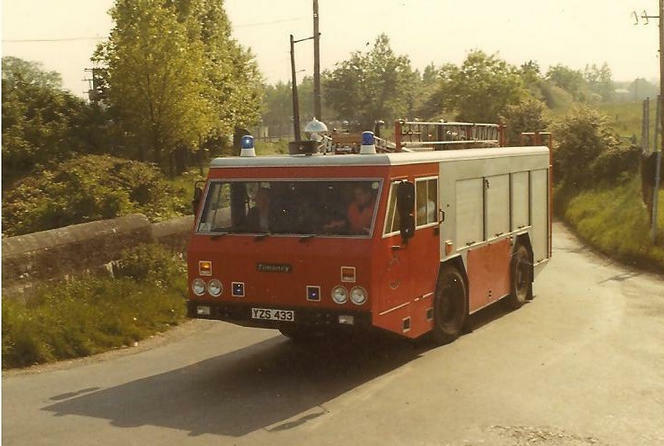 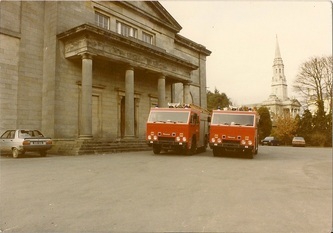 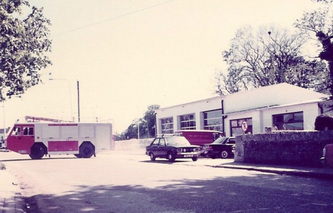 Pre Dilivery photos of 1985 Timoney /Ford Cargo 5027 IR that served with County Offaly at Birr Fire Station , the appliance is now preserved in Athy, Co. Kildare. More Photos of the Timoney /Timoney and Timoney /Ford Cargo would be most welcome.Please contact me through the contact form if you have photos or information you would like to share.